Entei, Raikou, and Suicine can now be found in different areas around the world. Fans of Pokemon all across North America are now able to find a new Legendary creature in Pokemon Go. 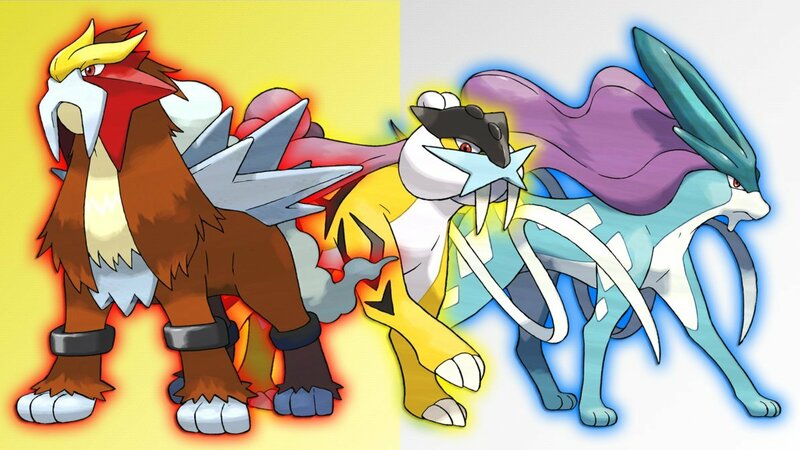 Since the beginning of September, Legendary dogs Raikou, Entei, and Suicine have been the only creatures available in Legendary Raid Battles. Each creature was set to be available in any given region for one month, and after that time, the creatures would rotate. Raikou was previously available in North America throughout September, and now that October has come, players will now be able to do battle with Entei, the Fire-type Legendary. • Raikou, the Electric-type creature that started out in North America, has shifted to the Asia-Pacific region, and will be available in Europe and Africa next month. • Suicine, the Water-type Legendary, was previously available across the Asia-Pacific region, and is now available for battle throughout Europe and Africa; it'll be the creature that comes to North America next month. • Entei, which started the rotation in Europe and Africa, and is currently available in North America; when next month rolls around, it will make its shift over to Asia-Pacific region. As might be expected, these Legendy Pokemon will only be available for a limited time; it's currently unknown if or when Niantic may bring them back into the game after November. However, fans can at least be happy that the studio is still working on the new EX Raid Battle system, the likes of which we'll hear more about as development continues. Learn everything there is to know about Pokemon Go by checking out the extensive and exclusive guides we've featured over on our Pokemon Go tips and tricks guide hub.